Ariana Grande has spoken out following the horrific concert attackthat left at least 22 dead after her sold-out show in Manchester on Monday. Among the victims was an 18-year-old fan who just two years earlier had excitedly Instagrammed the moment she met the pop star. "SHE WAS SO CUTE ANS LOVLEY I HUGGED HER SO TIGHT AND SHE SAID SHE LOVED MY BOW I CANT GET OVER THIS I NEVER WILL," wrote Georgina Callander after they met.Callander was a college student studying health and social care. An 8-year-old girl has also been named as a victim. 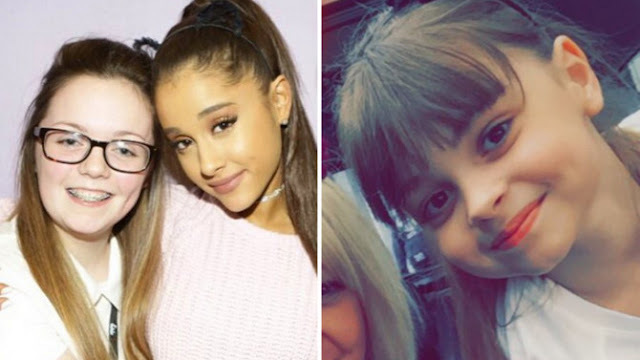 Saffie Rose Roussos attended the concert with her mother and her older sister. The headteacher of her school, Chris Upton, told Sky News her death comes as a "tremendous shock." 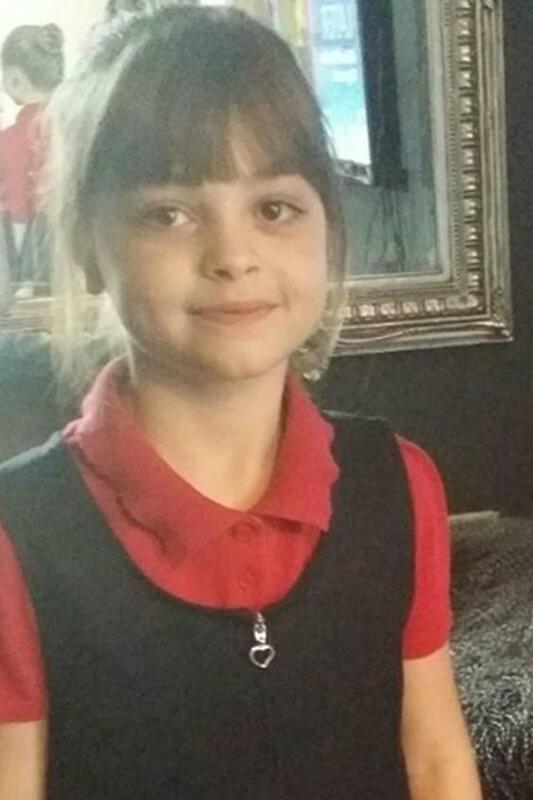 Saffie qas "simply a beautiful little girl," he said. "She was loved by everyone and her warmth and kindness will be remembered fondly. Saffie was quiet and unassuming with a creative flair." Grande herself, who was unharmed, took to Twitter in the wake of the tragedy to share her shock. "broken. from the bottom of my heart, i am so so sorry. i don't have words," wrote the pop star, who has reportedly suspended her world tour. The administration of Runshaw College, where Callander was a student, released a statement to the Guardian. "It is with enormous sadness that it appears that one of the people who lost their lives in Monday’s Manchester attack was one of our students here at Runshaw College," it said. "Our deepest sympathies, thoughts and prayers go out to all of Georgina’s friends, family, and all of those affected by this loss." The school said it's offering counseling to people close to Callander. Meanwhile, family members of other missing concertgoers are clinging to hope after authorities confirmed many of the fatalities were children. Deborah Hutchinson is one of those family members. Her daughter, Courtney Boyle, was missing following the concert and she took to Facebook in a bid to get answers. "My daughter Courtney Boyle and partner Philip Tron have gone missing tonight in a attack at Manchester tonight please share and help find them I need them home safe," she wrote. Sasha Howe also looked to Facebook to find answers. "My mum Alison Howe and her friend Lisa Lees were at Manchester arena, please get in contact if anything is heard and share this," Howe wrote. Michael MacIntyre hoped to find his family members with the help of Twitter. "Please...please reetweet. Looking for my daughter and her friend. Laura Macintyre and Eilidh Macleod #manchesterattack," he wrote. As the scope of the tragedy grows, world leaders have addressed it as yet another terrorist attack, though this time many of the victims appear to be children. "We are working to establish the full details of what is being treated by the police as an appalling terrorist attack," said British Prime Minister Theresa May in the early morning hours of Tuesday, local time. Donald Trump also spoke to the attack. "The terrorists and extremists and those who give them aid and comfort must be driven out from our society forever," Trump said following a meeting with leaders of the Palestinian Authority. "This wicked ideology must be obliterated, and I mean completely obliterated. "I will call them from now on losers, because that’s what they are... They’re losers. And we’ll have more of them. But they’re losers. Just remember that." The Manchester Arena is Britain's largest indoor venue and holds 21,000 people. Manchester is the country's second largest city.